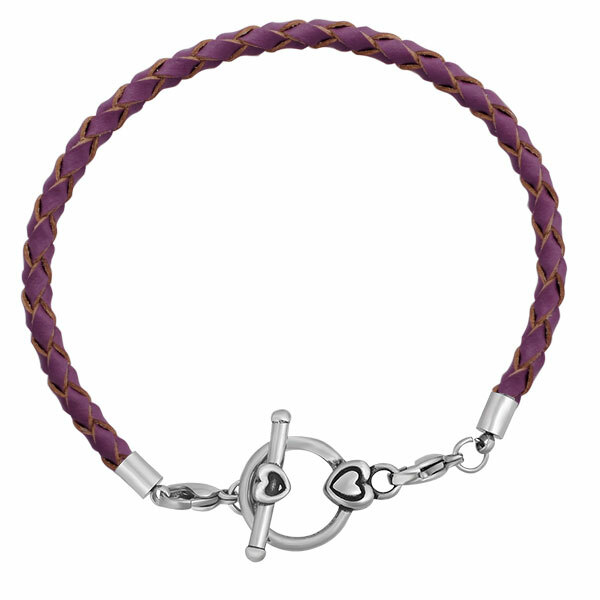 This purple Women Leather Weave Bracelet with Stainless Steel Removable Heart Toggle Clasps ,the clasps made of stainless steel . 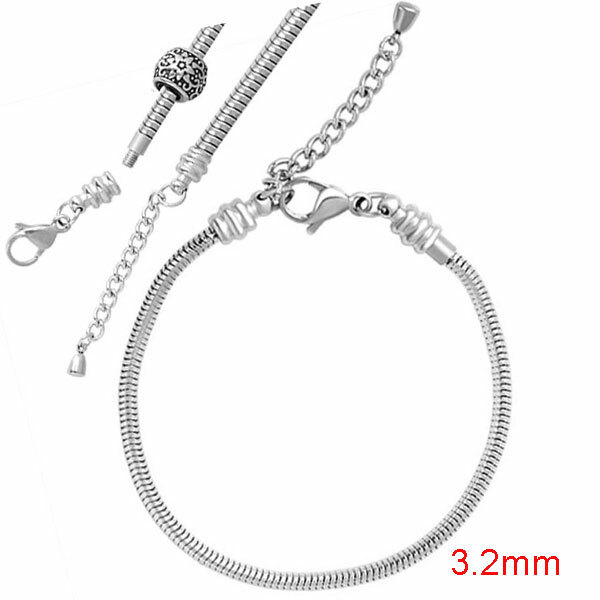 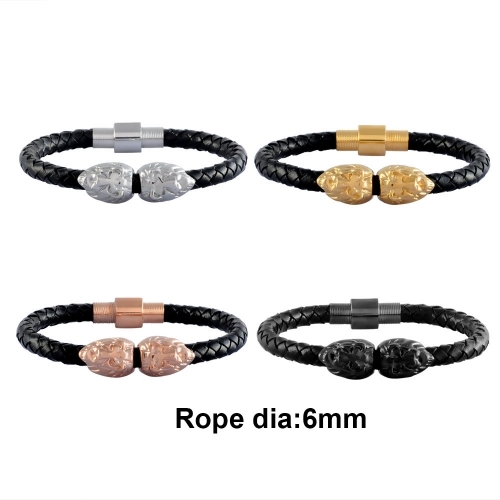 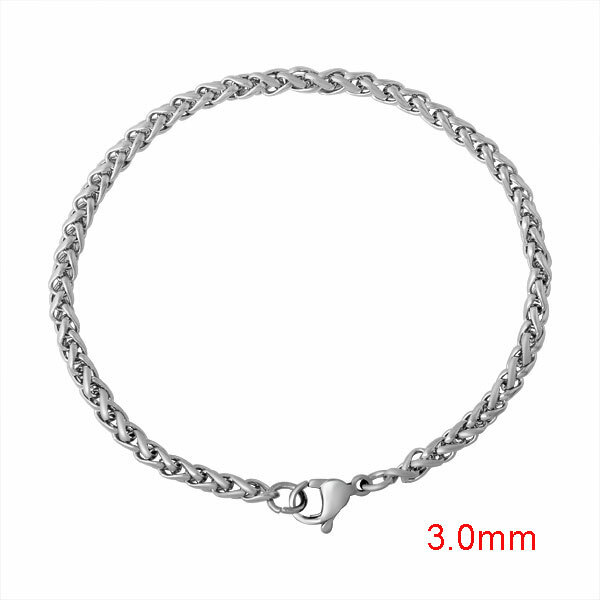 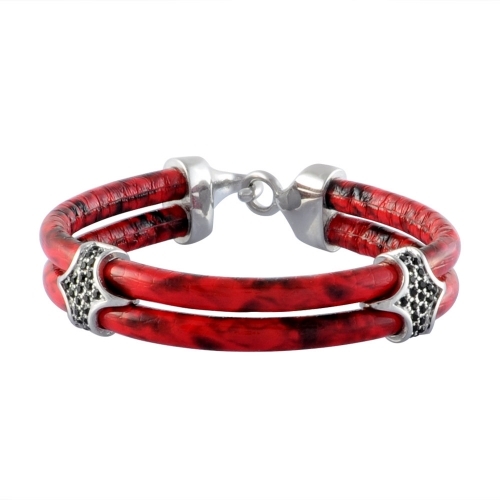 leather bracelet is handmade ,all the euorpean beads can fit it . 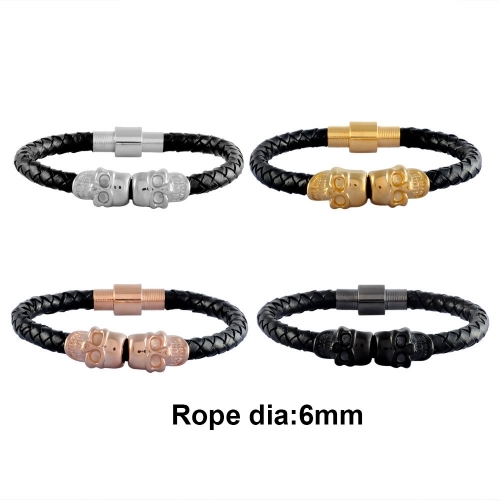 you can diy the bracelets .it is good gift for family.